In the past 8 years online lending has exploded and local mortgage brokers are now competing with online brokers that have little to know overhead. As with many online transactions one needs to approach online lenders with extreme caution. Getting a home mortgage or refinancing your is a major financial decision and should be treated as such. Online deals that seem “too good to be true” often are and one needs to navigate wisely to avoid scams. State and local governments are constantly shutting down scam sites but most of the time the Attorney General cannot get borrowers out of agreed upon contracts, even if the terms are excessive. If you do insist on shopping for a mortgage/home loan online then there are a few factors that you need to be aware of: First, when comparing loans, make sure that you're comparing loans on an apples-to-apples basis. For example, you find that "Loan A" for a 30-year loan has a much lower interest rate than "Loan B" (also for 30 years). Upon further inspection, you find that "Loan A" is technically an adjustable rate mortgage. Its payment is based on a 30-year amortization, but becomes due through either payment or refinancing at the end of 5 or 7 years. 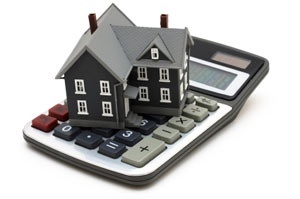 These are frequently referred to as a 5-year or 7-year fixed-rate mortgage. While both said "30-year", they are not the same type of loan. LendingTree.com: LendingTree is essentially a mortgage loan search engine. Despite their claim of “when banks compete, you win” banks don’t actually “compete” or bid for your business. LendingTree simply aggregates all current loan offers to someone of your credit profile. LendingTree is a great place to get a feel for what type of rates you should expect and it is a quick and easy way to obtain a pre-approval letter. LendingTree.com is free to browse so it makes sense to use it as a diligence tool. In the past, our clients have NOT gotten the best deal from LendingTree. BankRate.com: BankRate advertises itself as the nation's leading aggregator of 100 financial products. The company surveys 5,000+ financial institutions across the United States to provide current rates for mortgages, new and used auto loans, credit cards, and more. While BankRate is a great place to get a feel for current lending rates in your area, the sites real value is its content. BankRate is full of useful articles and blogs on topics ranging from mortgage pricing to homeowner taxes. ELoan.com: ELoan is a simple, easy to use loan search engine that is very similar to LendingTree.com. Similar to LendingTree, we do not recommend using the site to obtain a mortgage on your home, but rather, use it as a tool to diligence rates that your Mortgage broker is offering you. Historically we have not found that ELoan provides our clients with the most competitive Mortgage Rates. Mortgage101.com: As with all of the sites reviewed here, Mortgage101 offers local current mortgage rate pricing as well as mortgage calculators and research. Mortgage101 differentiates themselves with their comprehensive “Lender Directory” which allows visitors to view and search local mortgage broker and bank directories. Fortunately for buyers, there are a variety of mortgages to choose from. It is in your best interest to investigate each of them to determine which is best for you. Most buyers will not qualify for all of them. In fact, many only qualify for one. But if you do qualify for more than one, make sure that you do your homework before signing. Consider a fixed rate mortgage if either of the following describes you: you plan on living in your new home for many years, and/or you are not a risk-taker and prefer the stability of knowing how much your payment will be each month. Since most home loans are for a period of 30 years, if you want a payment you can count on for that long of a period of time, a fixed rate mortgage may be what works best for you. Once your loan amount and interest rate are calculated and locked in, a fixed rate mortgage will guarantee that you will have the same payment over the life of the loan. Making extra payments to principal will allow you to pay your loan off sooner. If you are more comfortable in taking a risk with your money or if interest rates are very high at the time you take out your loan, an adjustable-rate mortgage (ARM) may be the solution for you. You may also choose this type of loan if your planned ownership of the property is short-term or if you expect your income to increase to cover any potential rise in the interest rate. Generally, the initial interest rate on ARM loans will be lower than fixed-rate mortgages. Typically, ARM interest rates are tied to a specific financial index (such as Certificate of Deposit index, Treasury or T-Bill rate, Cost of Funds-Indexed Arms or COFi, or LIBOR (London Interbank Offered Rate) and your payment will be based on the index your lender uses plus a margin, generally of two to three points. Get the formula used by your lender in writing and make sure you understand what it means. If neither the fixed-rate nor the adjustable-rate mortgage seems like the best option, perhaps the convertible ARM will be right for you. This alternative combines the initial advantage of an ARM with a fixed rate after a predetermined number of years. This type of mortgage is advantageous when the current rate is lower than average. If you qualify, government loans from a variety of social programs may be the best value. Speak with your mortgage broker about your government loan options. The Federal Housing Association offers loans to lower-income Americans. Look for the phrase "FHA approved" when looking at ads for homes.